Señor Mex says: This article highlights one of the most important reasons for remembering to cover your driving in Mexico with adequate Mexican insurance for cars by MexicanInsuranceStore.com. The vehicle manufacturers in the country cater to two different sets of standards. Those automobiles intended for export to the United States and Europe are governed by stringent safety regulations that require features like multiple air bags and stability control systems. The vehicles intended for the Latin American market are manufactured without these features. At the same time, pricing on both versions of a given vehicle tends to remain the same. The result of less safe vehicles being on the road in Mexico has been an increase of 58 percent in fatalities of drivers and passengers in Mexico over the last decade. At the same time, U.S. auto fatalities have declined by 40 percent. While you may drive in Mexico with a U.S. version of a given vehicle, your involvement in an at-fault incident could result in a fatality because of the car driven by the other party. 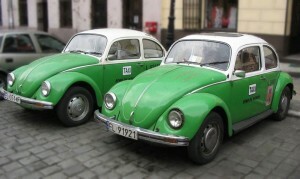 Make sure that your Mexican insurance for cars by MexicanInsuranceStore.com covers your obligations sufficiently. Mexican insurance for cars by MexicanInsuranceStore.com is now required for highway driving in Mexico. Also Mexican Insurance for cars by MexicanInsuranceStore.com comes with FREE Roadside Assistance. Given that Mexican vehicle manufacturers maintain different standards it’s prudent that you be cautious of the kind of vehicle you hire and remember to take on full insurance cover. Knowing the information is good enough to buy Mexican auto insurance. Nevertheless, it’s always sensible to read policy documents prior to signing the insurance.